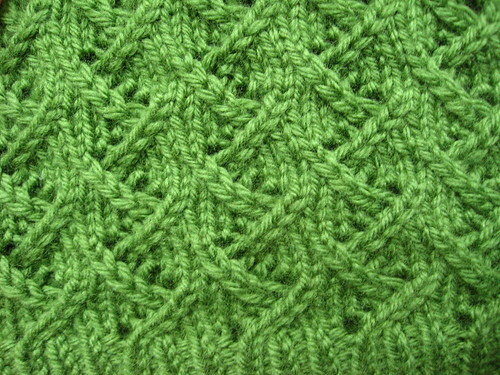 I am just learning to knit and so am totally in awe of your lacey knitting, it is so beautiful, I hope I can do this one day! Hi! Your scarf is beautiful and I love the pattern in your green hat! Great choise for the traditional cable! I really like both of those patterns. I have yet to learn how to knit, but I've been busy crocheting some small Christmas presents in between embroidering my quilt blocks. The scarf is gorgeous! I love the color you picked too. 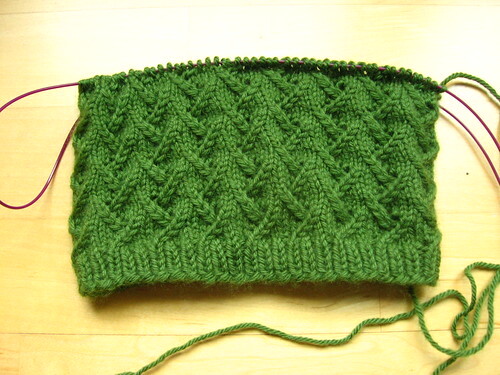 Can't wait to see the finished hat, that green is so pretty and the stitch is lovely. 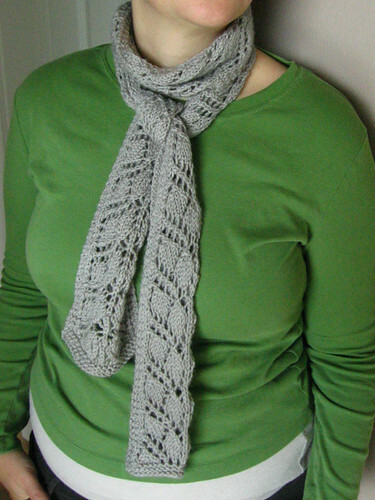 I've been itching to pick up my knitting needles and you're inspiring me! Your scarf is gorrrgeous! I can't believe you knit that in a weekend! 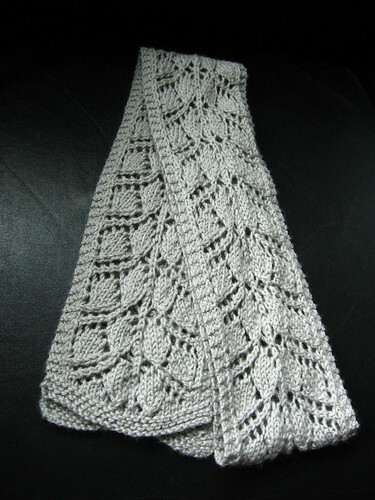 I just finished a cowl and am not sure what I'm going to cast on next. I have a pile of yarn on my work table just waiting to turn into something. Ha, I forgot the most important part of my comment! I love your scarf and am adding it to my queue. That hat is going to be beautiful! I can just sense how soft the yarn is from that photograph. Branching Out is a great pattern! And I love that hat so far. Sorry you had to rip out, but it will be worth it. Oh, and I saw your Wine Cozy on Sew Mama Sew! How exciting to be featured! I'm having Knitting Envy -- I have vague recollections of my mother knitting and crocheting when I was a little girl in the '70s, but she hasn't done it in decades and I don't know anyone else who knits. Did someone teach you in person, or did you learn to knit from a book? Your work is gorgeous and it's like magic to see how your lacy green hat just grows out of nothing, totally different from sewing where you start with cloth.